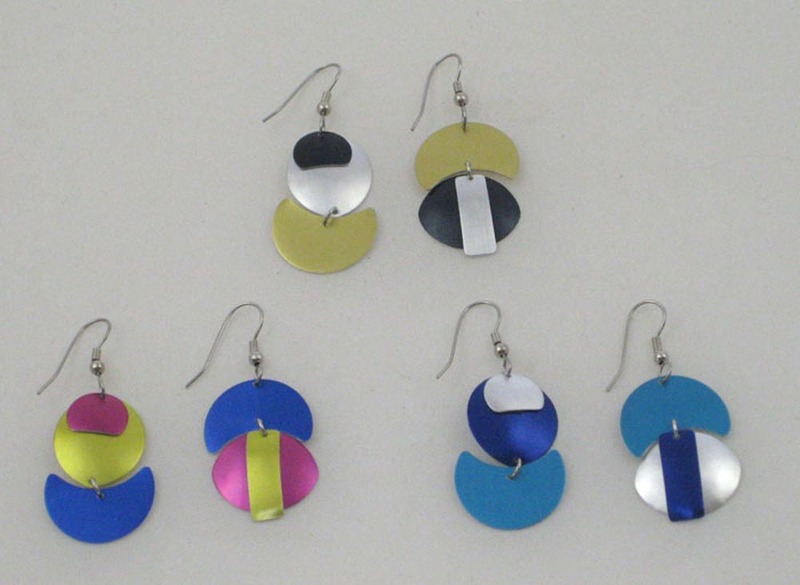 Pair of asymmetric earrings in 4 colors 1 3/8″ long pictured in Memphis (left), Danube (right) & Juneau (bottom). 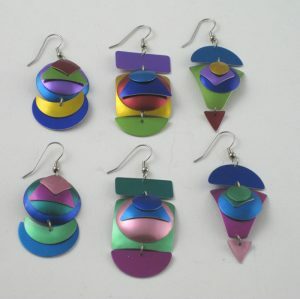 Asymmetric earrings 1 ½ – 2” long, (triad or pair) Asymmetric offerings in a set of 2 or 3. 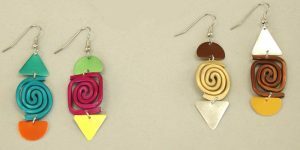 6 colors: Shown in Marrakech (top) and Cool with Pink. Set of 3 for $80, 2 for $55. 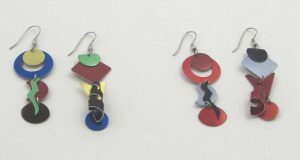 Asymmetric pair of earrings, 2” long with 3 – 6 colors. Shown in Hawaii (left) and Basic. 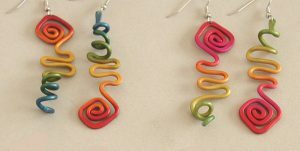 2 ½” pair of fade-dyed earrings, reversed. 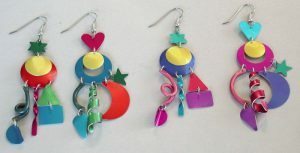 Shown in Rainbow (left) and Hawaii. 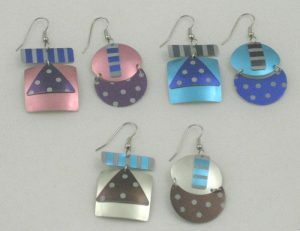 Asymmetric pair of earrings, 3” long with 8 colors. 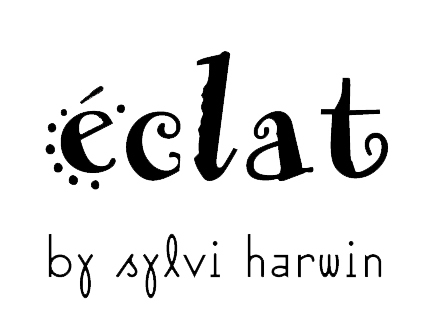 Shown in Krakatoa (left) & Candy. Shown in Telluride (left ) & Vesuvio.